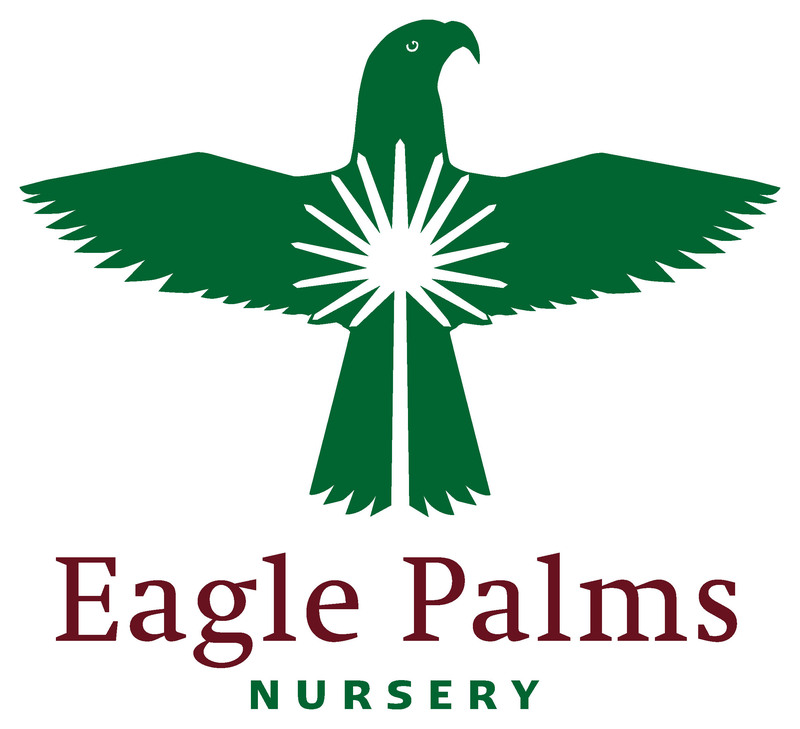 ‘Eagle Palms’ is the brand name for a top quality French palm tree of the Trachycarpus fortuneii species. Extraordinary characteristics of this palm is the full crown and the vigorous root ball. We produce these palm trees with a lot of care in the French Pyrenees, at an own location of 40 hectare. In France the palm is experiencing the same moderate (sea) climate as elsewhere in Western Europe. This French palm has adapted over time to the climate of the Bay of Biscay. Because of this, the palm has shorter leaf steals and a compact crown that can withstand wind, so the palm is very suitable for northern European use. After harvesting the palm is potted to become acclimated at our location in Naaldwijk at least one year. The palm will get the chance to further develop its strong root system. 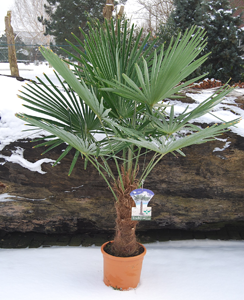 The palm will need this strong root system to survive easily wintery temperatures till -17 (zone 7) in your garden on or your balcony.